You do a great job of informing parents that car seats are required by law, and we used it with Luis the whole time we were with him…but no one else would put it in and just had us hold Ramona on our lap. While I’m sure you have to inform people of the law, it might be nice to warn them that this is likely going to happen. 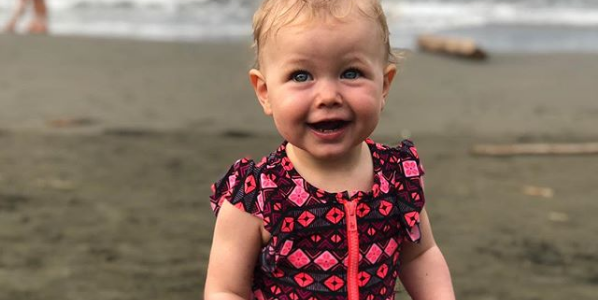 While no first world parent ever wants their child to be unsafe, it was a (I think) a good perspective-giving experience to have to let go of our American control while in Costa Rica – I went from being that obsessive parent who would only buy a car seat if it was the safest in the world to just shrugging and piling her in on top of us to get to the Jaguar Reserve like every other family was doing around us. If there is a way to say that to parents before they leave – set that expectation, it might help temper their anxiety in the moment. While in Play Negra, we met a mother and daughter who had been there for a week. While they had done many of the same things we did, zip-lining, chocolate tours, etc., what was really striking was the context we could share with them around the culture, the history and all of the interesting tidbits of everyday Costa Rican life that Luis shared with us on the drives or while eating together. The mother looked up and bookmarked your website then and there. Luis did a good job of figuring what “type” of people we were pretty quickly. After probably the third time of asking him where he thought we should eat, he just started choosing for us and it was fantastic. When he could tell we wanted to do something but were worried about trying to fit too much in, he would help us figure out ways to get everyone’s bucket lists accomplished. He was tireless in his drive us or pick us up from anywhere. And while I realize that’s what we paid for…he was just so cool and patient with everything that it made the trip all that much easier. 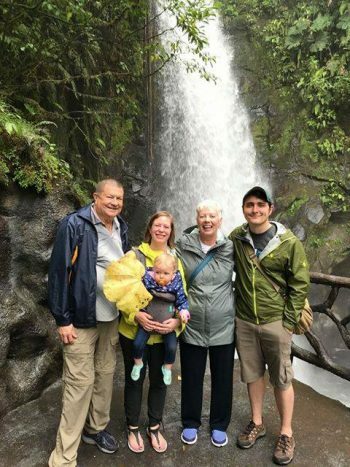 We chose to do zip-lining and the tram + the thermal pools (Los Laureles I think it was called) in Arenal, the boat trip and the chocolate tour in Sarapiqui (the chocolate tour was amazing), and the National Park and the Jaguar Reserve in Play Negra. I think we chose all the right things for having a 15 month old with us and again Luis was super helpful in helping choose how to spend our time. During the things where Luis accompanied us, he was able to point out so much that we would’ve missed on our own! Tiny frogs and bats that looked like tree bark, it was all pretty fascinating and it made every hike more interesting. Overall – the programs are fantastic and exactly what you need for traveling with little ones, especially when it’s your first time visiting. Kara, you forgot to mention we also went to La Paz Waterfall Gardens and on the Suspension Bridges hike. Luis took the amazing pictures of the frog egg sac with my phone for me through his telescope and the ant parade on the last hike. Incredible memories and we docmented all of it in a journal which I’m going to type up tomorrow.